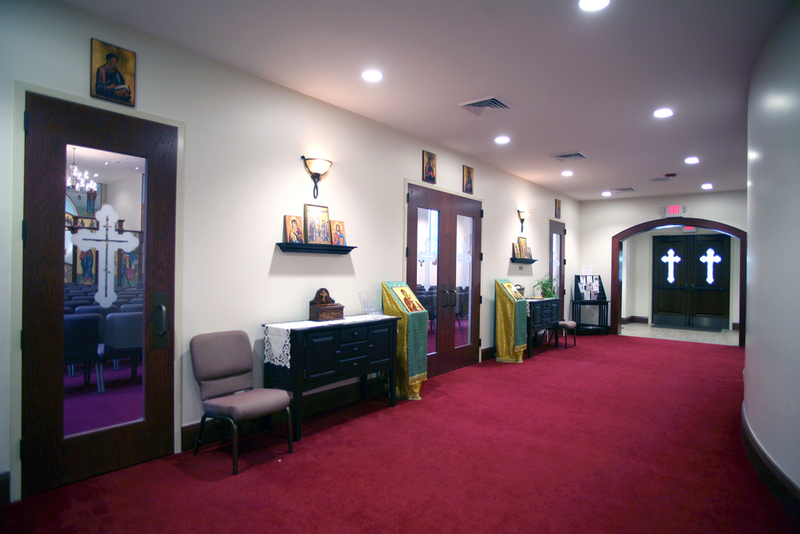 This existing office building was transformed into a gathering space for the church congregation. 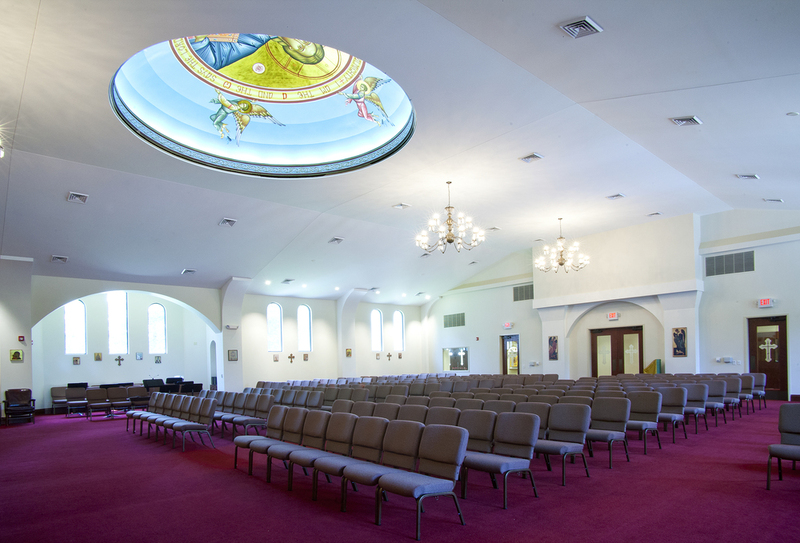 The renovation includes a large worship space, a game room, kitchen and lounge space, and a gymnasium. The second floor is home to classrooms, conference rooms, offices, and an intern work hub. 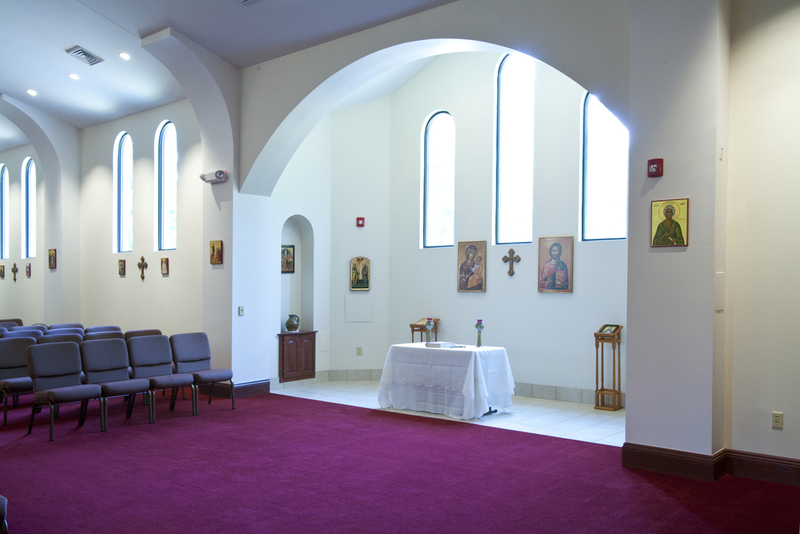 This church expansion includes a new spacious sanctuary, classrooms, and offices. 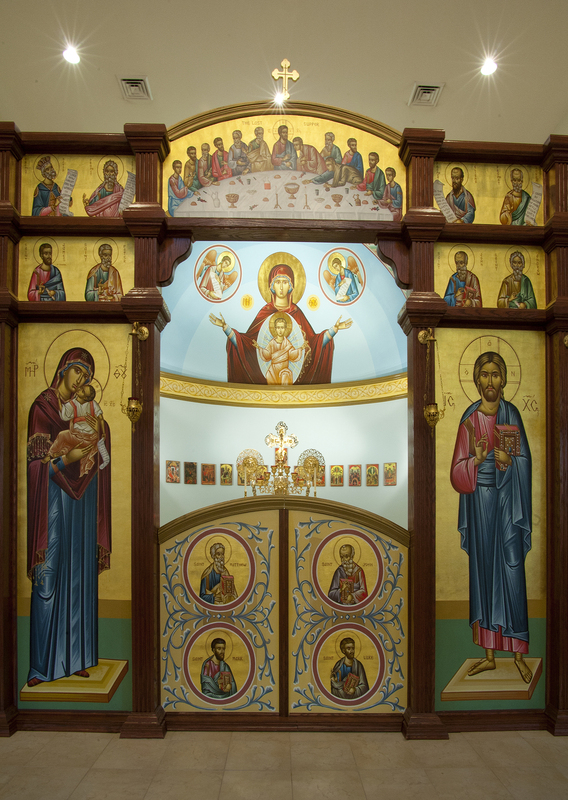 The design features domes, arched openings, and other details characteristic of the Greek Orthodox religion.